Lisa Portera-Perry, DC, received her medical education from the Southern California University of Health Sciences, College of Chiropractic. With 30 years of experience in clinical practice combined with 15 years of educating physicians of all disciplines in the principles and clinical application of Functional Medicine, both nationally and internationally, she is a passionate advocate of Functional Medicine and its application for patients presenting with a wide variety of structural, neuromuscular, and autoimmune-related chronic illness. 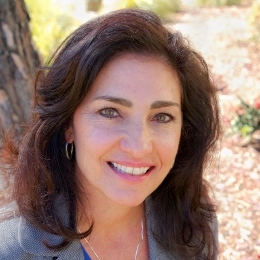 Dr. Portera-Perry has owned and operated private clinical practices as well as been the principle integrative doctor of chiropractic in several cutting-edge integrative medical center settings, including Sutter Health Hospitals and Integrative Medical Center’s Institute for Health and Healing at the Marin and Santa Rosa locations in Northern California. She has dedicated the last several years to contributing to the development of integrative and Functional Medicine-based dentistry, working closely with Mary Ellen Chalmers, DMD, to deepen the understanding and influences of the oral-systemic system, its role in Functional Medicine, and its contribution to chronic complex illness. She has worked with head and neck trauma and holds certification in lifestyle medicine, craniosacral, and temporomandibular joint (TMJ) therapy, and she applies these tools to the assessment of many chronic health issues. She has extensive post-graduate training in gastrointestinal health, women’s health, pediatrics, and Functional Medicine. Dr. Portera-Perry has been instrumental in sending integrative and Functional Medicine abroad, with a focus on deterring the growing epidemic of chronic illness in the United Arabic Emirates. She worked extensively on the development of programs related to cultural dietary and lifestyle modifications as applied to chronic inflammatory diseases, including arthritis, cardiometabolic disease, and pain syndromes. Currently, she is an adjunct clinical faculty member of Bastyr University’s teaching clinic in San Diego, CA, as an integrative doctor of chiropractic. She is also a member of Bastyr’s adjunct teaching faculty, teaching courses in integrative nutrition and physical medicine. Dr. Portera-Perry is a strong advocate for team-care approaches to improve patient outcomes, and she uses a variety of physical medicine, Functional Medicine, and lifestyle/mind-body medicine tools to empower her patients to more deeply engage in the ownership and success of their healing journey.